WhatsApp beta for Android 2.18.90: what’s new? WhatsApp has submitted a new update through the Google Play Beta Program, bringing the version up to 2.18.90. Let’s find out together what is it ..
• The Search Stickers feature is not available yet. WhatsApp is started to work on this feature in the 2.18.80 update, but the developers are keeping it disabled for development reasons and it will be enabled in next releases. So it’s okay if you have updated your WhatsApp version and you don’t see it, but probably it will be available very soon, also if we don’t precisely know the day. • NO RELEASE DATE AVAILABLE FOR THE FEATURE. 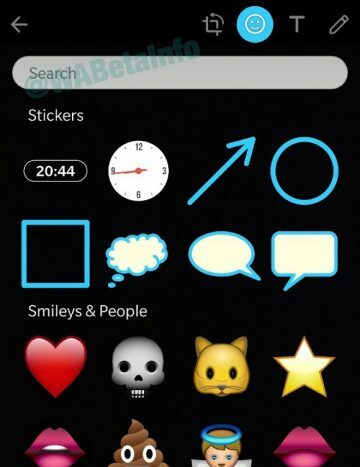 WhatsApp will allow soon to search stickers in the doodle view. Let’s see how the feature works. 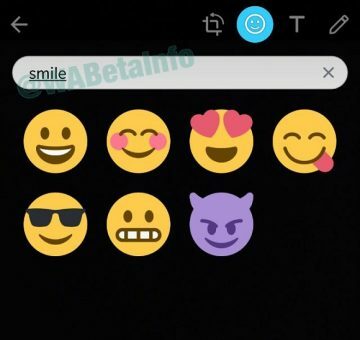 When you want to edit a photo, video or GIF, you are able to select stickers. In this section, you’ll be able to quickly search them, saving you time seen that there are many items. • WhatsApp silently adds some protections to block invalid revoke requests. Previous PostPrevious WhatsApp is working to develop a compatible app for a new platform: KaiOS! 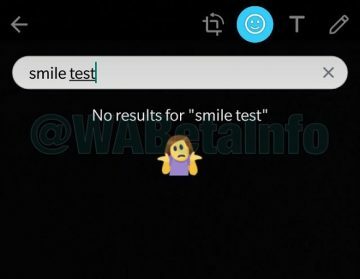 Next PostNext WhatsApp beta for Android 2.18.93: what’s new?